Did you know that Beverly Hills started out as a lima bean ranch? Amazing to think about that, but it’s true! But when the Beverly Hills hotel was built in 1911, wealthy folks, including glamorous celebrities, started exploring this town and buying homes there, which started the period of growth that lead to today’s prosperity and iconic reputation. Rodeo Drive is the most famous part of Beverly Hills because of its high end shopping stores and luxurious homes. 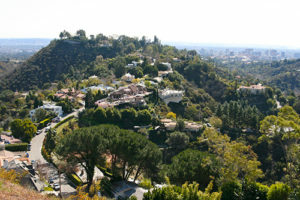 If you call Beverly Hills home, you should be proud. Whether you have a relatively humble one-bedroom apartment or an enormous mansion, take care of your home by upgrading its flooring with the best flooring company serving Beverly Hills, CA – Monarch Carpet, Drapery & Upholstery. We have every kind of flooring you could possibly want for your home in Beverly Hills. We have an enormous selection of high quality flooring types including carpet, wood, laminate, vinyl, and area rugs. We give each client who comes to our store personal attention, and you can rest assured that our recommendations are based on many years of experience in the flooring industry. Your satisfaction is our #1 priority, and we look forward to making sure you’re absolutely thrilled with your new flooring from Monarch Carpet, Drapery & Upholstery. One excellent choice for your bedrooms, living room, basement, and various other rooms in your home is carpet. Modern carpet comes in a huge range of colors, patterns, styles, and textures to give your home that unique flair you crave. Carpet is also ideal for any area in which the flooring has become damaged over time because it can be installed right over it to hide it effectively. Carpet absorbs sound and many types of carpet offer soil, stain, odor, and static-resistant properties for maximum durability. Come by our store at 3007 West Temple Street Los Angeles, CA 90026 to see and touch carpet samples and schedule an in-home consultation by calling (877) 766-6272. Wood is also an appealing choice for many homeowners in Beverly Hills, CA. We have plenty of hardwood color choices with various plank sizes to achieve the ideal look you prefer. If any of your family members has allergies, wood flooring is an ideal choice because it won’t trap dust. When taken care of properly, wood flooring won’t ever have to be replaced, and it won’t go out of style, so it’s a wise investment for many homeowners in Beverly Hills, CA, and all of Southern California. Come to our store or schedule an in-home consultation to learn more about upgrading to new wood flooring with Monarch Carpet, Drapery & Upholstery. These flooring materials are great for budget-conscious buyers in Beverly Hills, CA. They are available in a host of patterns and colors, many of which effectively imitate the look of more expensive flooring materials. 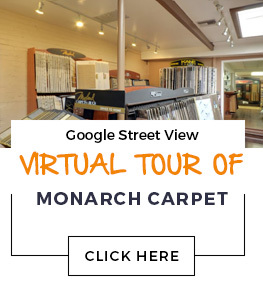 Come to Monarch Carpet, Drapery & Upholstery or call (877) 766-6272 to learn more about vinyl and laminate floors in Beverly Hills, CA. For all your flooring needs in Beverly Hills, CA, turn to Monarch Carpet, Drapery & Upholstery!